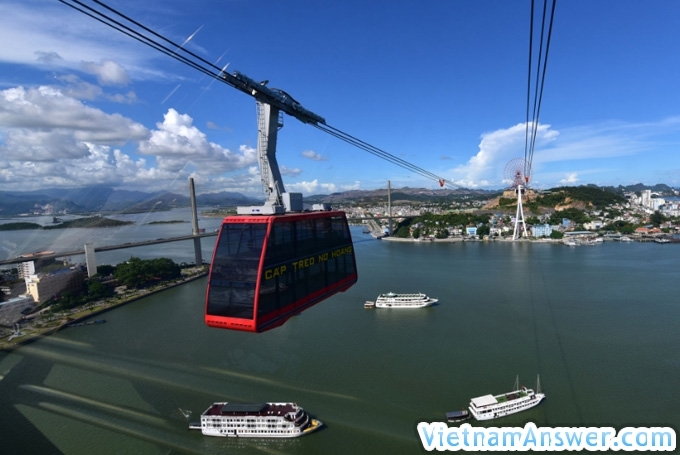 This can be said is a large entertainment complex in Ha Long on the area of ​​214ha has just come into operation. 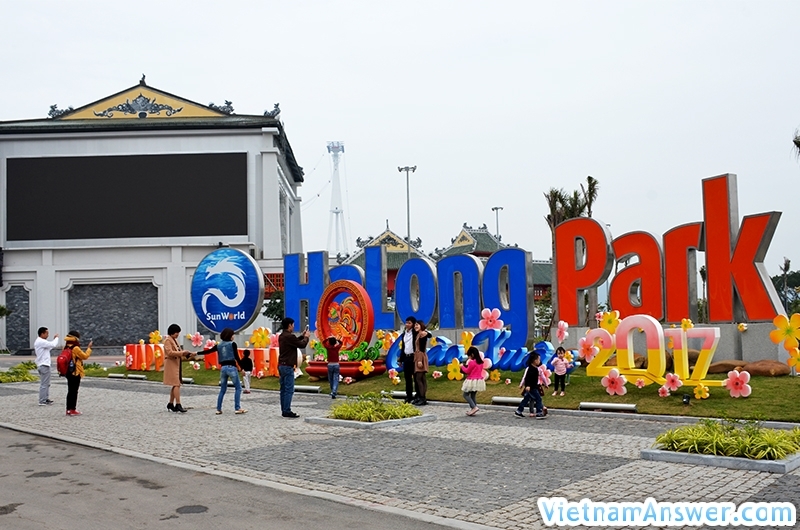 Ha Long Park is a complex of world-class amusement parks consisting of two main areas: the beach fun complex and the entertainment complex at the top of Ba Deo - connected by cable car system. unique. Come to Ha Long Park visitors will experience the five main points are Dragon Park, Tornado Park, Three-Zone Recreation Area, Sun World Beach and Shopping & Dining Area. The beachfront complex is located on the beautiful Bai Chay beach, with an area of ​​up to 169ha with many exciting entertainment items like world adventure games with roller coaster "crisis" in Vietnam, parks The lagoon water is known as Lung Xoay Bay, the sea village with delicate culture or simply dropping on Ha Long Bay with clear blue water and fine white sand. A 2-kilometer long crossing cable car will take you to the Three Gorges Complex - a collection of intriguing attractions and exciting entertainment. Destinations can not be missed at the top of the Three Gorges such as the Garden of Japan, the indoor games Castle Mystic, especially Sun Wheel - one of the highest rotation in the world. Sun World Leisure Tour Halong Park is a product of Sun Group, one of the leading enterprises in investment and construction of resorts with famous works such as Ba Hills, Asia Park, Fansipan Legend ... With experience and prestige of Sun Group, Sun World Ha Long Park promises to become the ideal playground and top class in Vietnam. 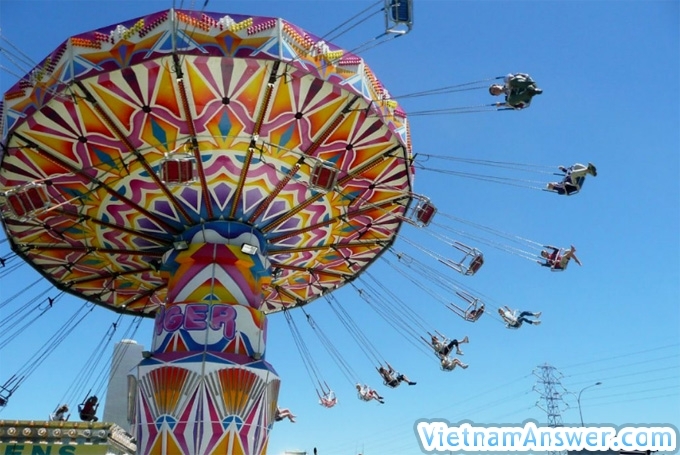 Dragon Park: The Dragon Park is located in the Sun World Halong Park Entertainment Complex, a world-class amusement park with many new and exciting games in Vietnam. A world of adventure games are opened such as Phi Long speed, Rhinoceros rage, Dragon footprints, pirate ships ...; Or fun family games fun and attractive: The mystery journey, Magic umbrella, Cyclone Dance, Reunion Squadron ... All will bring a space of excitement and excitement. engraved memorable party friends. "Relish" you on the journey to conquer the exciting game at Dragon Park is a chain of restaurants with delicious and convenient dishes such as The Dragon's Food Temple Restaurant serving Asian cuisine, Pizza Temple With the delicious Italian pizza or Lotus Kiosk with dishes that are extremely popular young people today. Come to Dragon Park to experience an endless entertainment space! Tornado Park: Coming into operation. 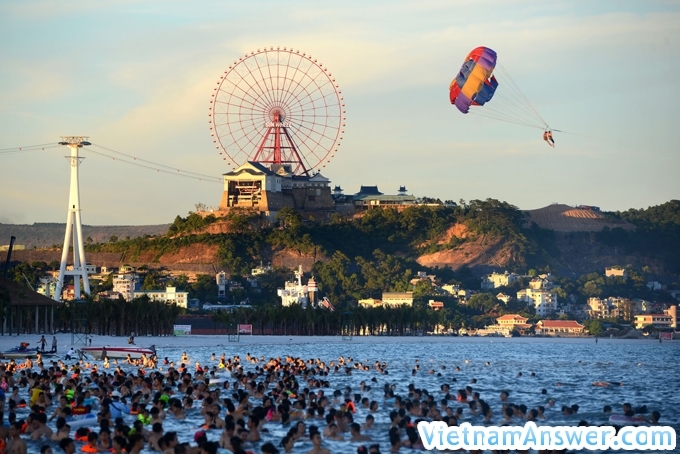 The Three Passes Recreation Area: This is a play area with many amusement areas such as KIDOLAND children playground, Queen Cable Car, Sun Wheel, Sun Waves, Wax statue. Game, Japanese Garden. Sun World Halong beach: Located in the Sunshine Bai Chay beach recreation area of ​​Halong Bay, the artificial beach of up to 900m in length is open free of charge to residents and visitors. Here, visitors will be immersed in the beautiful blue sea with white sand and relaxed view of Ha Long Bay under the tropical trees. Dining & Shopping: The Sun World's Halong Park restaurant system is rich with local specialties and international culinary flavors, catering to the diverse palates of visitors. Expected to be operational in the coming time, fast food restaurants, sushi bars, Japanese restaurants ... at Dai Duong station and Ba Deo entertainment area are the stops to enjoy unique cuisine at Sun World Lower Long Park. Come to Sun World Ha Long Park, visitors will not be overwhelmed by the space and shopping services are rich with a lot of gifts, souvenirs diverse, unique and bold city mark. Halong Bay. very great view on the cable car!